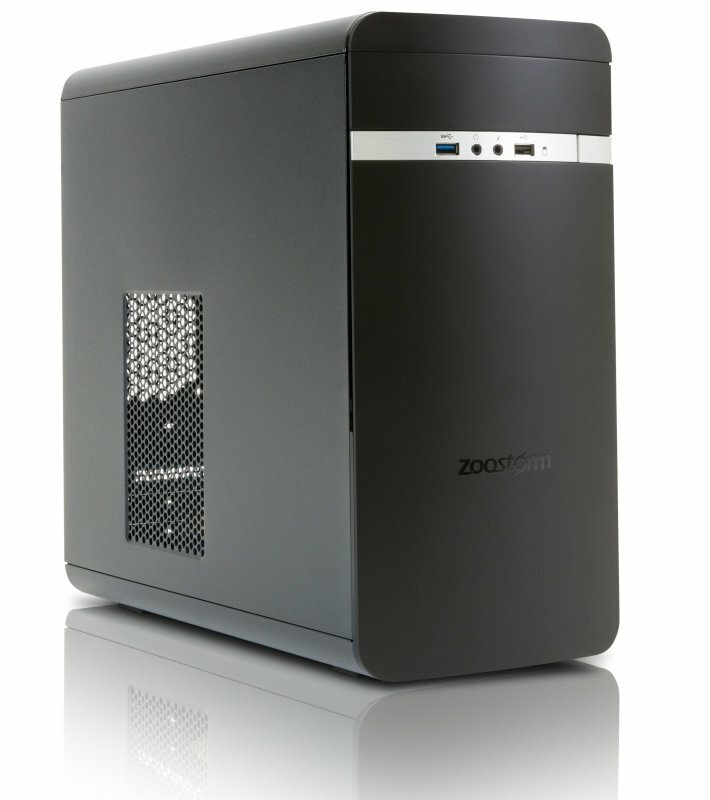 Zoostorm Evolve Desktop PCSorry, this product is currently out of stock. Let the Zoostorm Evolve be the focal point for your creativity. This tower is not only stylish and sophisticated; Its smart too. Filled with the latest components it's perfect for editing complex documents, business use, maintaining your social media presence and anything else you do throughout the day. Central to this Zoostorm Desktop PC is the 7th generation Intel® Core™ i5-7400 (3.00 GHz) Quad Core Processor. Spend more time doing and less time waiting with the unprecedented power and responsiveness of Intel® Turbo Boost Technology 2.0. Create, edit, and share 4K content with ease, and enjoy immersive, full-screen 4K and 360 experiences. Browse the web, work with documents and create visual content with ease. Work and play in high resolution and experience visual perfection with Intel® HD graphics. Zoostorm have loaded this PC with 8GB RAM that delivers blazing fast performance and a high capacity 1TB hard drive that gives you masses of storage space - enough for around 17,000 hours of music, 40 days of video or 300,000 photos. Bays 1 (total) / 0 (free) x external 5.25" Â¦ 2 (total) / 1 (free) x internal 3.5"